WKRM has been the VOICE of the LIONS for 71 consecutive years! MURPHY'S MATCH-UPS airs 30 minutes prior to each game kick-off. 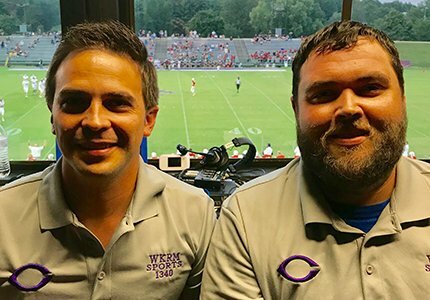 Get post-game color and comments from players and coaches on our CHS COACHES SHOW which airs Saturday mornings from 8 to 9 AM on 1340-WKRM and on ColumbiaLionsFootball.com. The Lions thank Bob McKay, Jr. and Robert McKay III for their support of Columbia Lions football through WKRM-1340 for over 71 consecutive years.